Updated Tuesday October 21, 2014 by Saskatoon Minor Basketball. 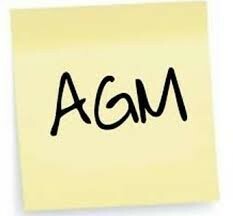 The Saskatoon Minor Basketball Annual General Meeting was held October 15th, 2014 at Walter Murray High School. We had great attendance and made some much needed changes to our Bylaws. We also had some great discussions on other league related items. For more details about this meeting please see the attached minutes and reports below. Thanks to those that came out and gave much needed input to certain areas of our league. We very much look forward to the coming year and some coming changes.